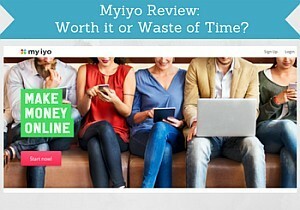 Myiyo Review: Worth it or Waste of Time? At first sight, Myiyo seems like a classical paid survey site apart from the slightly strange name (we will get to the meaning of this name shortly). But is Myiyo actually a good survey site to join that is worth the time or is it a scam site to stay away from? In this Myiyo Review I will share my experiences with you after having tested the site for a while know, so you know what to expect, if you decide to join. What is Myiyo and what does the site offer? Myiyo is almost what I would call a classical paid survey site. With that I mean that the focus is on just paid surveys, and this is how you can mainly earn. Today, many survey sites has a lot of other ways to earn than just paid surveys. Personally, I like using both sites that are only focused on surveys and reward portals that give a lot of options like for example PrizeRebel and SwagBucks. The big advantage of a survey site like Myiyo that is mainly just focused on paid surveys is that it is usually very easy to use, and it is quick to get an overview and find out how to use the options on the site. These types of sites might not have as many daily options as some bigger reward portals, but I still really like using them, because they are so easy to use. For me, the best way to get the most out of paid surveys are to join both types of sites. Myiyo has a decent amount of paid surveys available, but the exact amount depends on where in the world you live. When you first join Myiyo, there are a couple of ways to get a good start with some free points. You will get your first 100 points just by confirming your email. When you fill out your profile info, so that you can better be matched with surveys, you will get another 500 points. So that is great way to get started with a bit of points. As mentioned above, Myiyo is first of all a paid survey site. It does however also have a couple of other things you can use it for. One of these things are the community part of it. You can connect with other members and befriend them, you can post videos and images where other members can vote for your posts, and you can vote for other people’s posts. It can be a fun way to spend a little time and connect with people from all over the world, and there are sometimes some interesting little videos posted. It is however not a very active community. There is some activity, but not a lot. Personally, I also prefer mostly focusing on the surveys or tasks when I am on survey sites, as it is easy to get distracted by watching small interesting videos etc. It can however be very interesting to connect with other members, so it of course depends on personal preferences. But do not expect a hugely active community – you should first of all join Myiyo, if you are interested in the surveys. When you join Myiyo, you will have the title as novice. In time, you can get a higher membership level, when you are more active. When you experience increases, you are supposedly able to have a lower payout threshold, but I have not personally been able to confirm this. If you have, I would to hear from you in a comment below. Except from surveys, there is one other way to make money on Myiyo. You get a link that you can share and invite other people through. If somebody you invite joins Myiyo, you will get 500 points which is equivalent of 0.5 euro. So not a lot you can earn this way unless you know a lot of people that want to join. But still a nice way to be able to make a little extra. Be aware that you will not get your reward before the person you invite has finished at least one survey. Myiyo is free to join and use. When I first found Myiyo, I was a little confused by the name. It seemed a bit strange to me, and I did not know how to pronounce it. But there is actually a meaning behind the name, so as I am thinking that I am not the only one wondering about the name, I will tell you what the meaning is. The pronunciation is like “my eye oh”. The platform was originally named “in your opinion” and the new name Myiyo is an abbreviation of this. Meaning My is put together with the first letter of each word from “In Your Opinion”. Every time you do surveys or invite a friend, you earn points, that can then be exchanged into cash later. 1000 points is worth €1, and you will get paid in Euro no matter what country you live in. So what it will be worth in your local currency, if you live in a country that does not have Euro, will depend on the current exchange rate. Once you have earned 20000 points which is equivalent of €20, you can request a payout. You can get paid through PayPal, which is my favorite way of getting paid from survey sites, because it is so easy, and you can use PayPal for so many things. A really great thing about Myiyo is that it pays the PayPal fee, so there will be no fee for you when cashing out. In South Africa and Turkey, you can also have the money transferred directly into your bank account. The last way to get your money is by donating them to charity. Myiyo has a cooperation with the Charity “Three Little Birds” that supports any group in need like for example homeless people and disadvantaged. You can choose to donate any amount of your earnings to this charity. How much money it is possible to make is of course important to know before joining. It is however very difficult to say as it depends on how many surveys you decide to take, how many of them you qualify for, and also where you live, as the amount of surveys you will be offered depends on this. Even though Myiyo only offers paid surveys and no other way to earn, it gives you decent opportunities. If you take as many surveys as possible, you will be able to make some nice extra money on the side. Not as much as on some sites that offer other ways of earning as well, but it can be a great extra site to join, and to do the surveys you can, as it offers surveys you cannot take on other platforms. Just remember that when it comes to paid surveys in general, you will not become rich from doing them. You can make some nice extra money, but I always make sure to make it clear that it will not make you a full-time income. If you know this, and join with the right expectations, paid surveys are a great opportunity. Myiyo does not have an app. But you can still easily use it on your mobile phone or tablet, if you prefer doing surveys that way. The website is mobile friendly and easy to navigate on your phone. Most of the surveys are also available on mobile devices, so it is definitely possible to use Myiyo on your phone even though it does not have an app. If you have confirmed your email, you will also receive an email every time there is an available survey. You can then just click the link in the email on your phone. Myiyo is mainly aimed towards the European market, but there are also some other countries that can join. You can see the image below to see in which countries Myiyo is available. You can actually join no matter where in the world you live, but if you do not live in one of the countries that is listed on the website, you should not expect to get any surveys, and then it is not really worth being a member. The countries where Myiyo is available. Myiyo is definitely not a scam, and there is a reliable company behind it. But let’s sum up the pros and cons to get a better overview and see, if it has what you are looking for in a survey site. To sum it up, I think Myiyo is a pretty good survey site. It does not give as many opportunities as some other sites, as it “only” offers paid surveys, but it has surveys you cannot find anywhere else. Also, you can get paid through PayPal, which I personally think is great and especially great that Myiyo takes care of the fees that are relataed to PayPal. So Myiyo can definitely be worth joining, if you live in one of the available countries. But I would recommend also joining other survey sites, to get more opportunities as Myiyo alone does not necessarily give you opportunities every day. It is very easy to sign up. You just need to fill in your name, email and gender, and then you will receive email to confirm your account. If you have any questions, comments, or have any experiences with Myiyo yourself, I would love to hear from you in a comment below. Myiyo is a survey site that is very easy to use. As it more or less only has surveys as a way of earning, it does not offer quite as many opportunities as some other sites. But in some countries it does have decent opportunites and because it is also so user-friendly, it can definitely be worth to join as an extra site. I have been participating since last year and after completing YourSurveys I don’t get my reward. They will like this survey is not for you , I mean after using my opinions? Sorry to hear this Tebogo. Do you mean that you will end up not qualifying for the surveys? Because unfortunately that sometimes happens, but if it happens all the time, it might be because it just simply is not a good survey site in the country you live in. Personally, I also do not very often qualify for the surveys from YourSurveys, but I know they have many surveys available, and I have also completed several of them myself. But maybe it is because they do not have many in the country you live in. If you tell which country you live in, I can see, if I can come up with a couple of suggestions for survey sites with more opportunities there? Have you tried ClixSense, Superpay.me, GlobalTestMarket, and Toluna? These are all great sites that are available in South Africa, so here you should be able to find quite a lot of surveys you can qualify for. Getting paid to take surveys has always been an interesting concept to me. From all the sites I’ve seen, the amount of time you spend taking them compared to how much you get paid doesn’t seem like it’s worth it. I know it’s all relative but if I were to spend roughly 2 hours a day taking survey on Myiyo, what would you estimate the pay out would be? 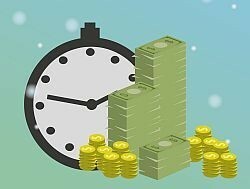 Difficult to say how much you could make in 2 hours on Myiyo. Mostly because you will have different small surveys that takes around 10-20 minutes each, and on Myiyo you will usually not be able to have enough surveys in a day to do 2 hours. The rewards also varies from survey to survey. But if you are looking for a high paying hourly rate, paid surveys is not the way to go. It is however very easy and convenient, and at the same time a way to have ones opinion heard, and for those reasons I really like paid surveys and think it is worth it. But all depends on your intentions. Before joining Wealthy Affiliates, I did try a couple paid surveys, but had no idea which one was effective. I knew making money is never easy and when it’s easy, chances are it’s a scam. In your opinion, do you think it’s worth doing surveys if you are in school looking for a part time job? I think surveys are a great way to make a bit of extra money while going to school, as it is very easy, and you can do it from anywhere, as long as you have an internet connection. It is however important to remember that it will not make you rich, so it should be done only to make a bit of extra money on the side while also having your opinion heard, and not to make a living from it.